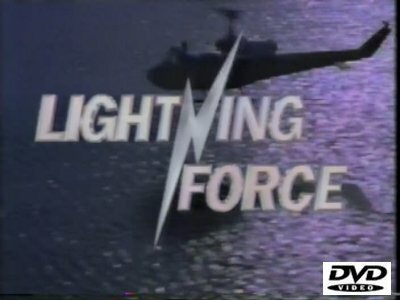 Lightning Force was an elite paramilitary team assembled by the members of the International Oversight Committee for Anti-Terrorism. Each of the four members of the team had specific skills--Zeke, from Egyptian military intelligence, was an experienced negotiator and field cook; Joan, from French security services, was a pilot, computer expert and cryptologist; Church, from the Canadian army, was a demolition expert, engineer, and medic; and Trane, from U.S. Army Special Forces, was the team leader with expertise in operations and mission planning. Notable guest stars include: Meat Loaf and George Takei.